Edward Cheserek, 2 time Footlocker Champ, visting UP! According to his coach, he's narrowed down his schools to five and Portland made the cut! He'll be out between Jan 17-21. Disgustingly, he's also visiting the swamp south down I-5 as well. Still, this would be a HUGE land, even better than Benedict Arnold in 2008. 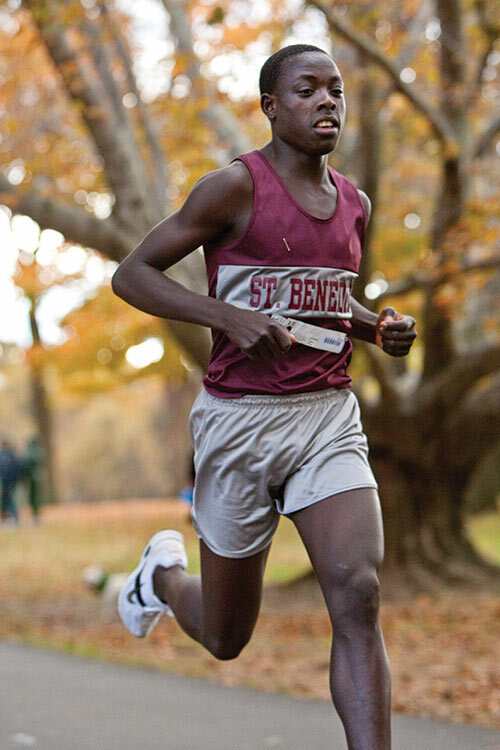 Re: Edward Cheserek, 2 time Footlocker Champ, visting UP! The Angel of Death wrote: According to his coach, he's narrowed down his schools to five and Portland made the cut! He'll be out between Jan 17-21. Disgustingly, he's also visiting the swamp south down I-5 as well. Still, this would be a HUGE land, even better than Benedict Arnold in 2008. Admittedly, I don't know a whole lot about distance running, but just comparing this kid's strong build to some of the skinny runners I've seen, it would seem he will withstand the rigors of college long distance running without a problem....and only get stronger. Now, what does comparatively tiny UP need to show him that will convince him that he's better off in Portland than at Arizona, Northern Arizona, Villanova, or Oregon? He's only been in the States for 18 months; does Portland have some good restaurants for a homesick Kenyan? I bet we can find something in Willamette Week....or online! Wow! That would be a huge coup. Hard to believe we're attracting top talent like this now. Anyone know how the visit is going? DTLegend wrote: Anyone know how the visit is going? I believe he's been in Eugene for a couple of days and will arrive at UP tomorrow. I hope Coach Connor took Edward to Mt. Hood Saturday....it was sunny, beautiful, and WARM! There was a recruit who once asked if we trained up there. pilotram wrote: There was a recruit who once asked if we trained up there. Apparently Edward is still undecided....so has not yet signed a LOI. Edward is scheduled to take his final visit to Villanova this weekend.....he's also visited UO, UP, Arizona and Northern Arizona. Ugh. A day after setting the high school indoor two mile record.